Lots of sparklies and beads in this one that just don’t show on the scan. Her body is stitched in DMC white satin. Her scales and claws are total sparkle. She’s laying in the snow and ice – which is topped with lots of beads. Her wings are Caron Waterlilies. I’m so happy she’s done! 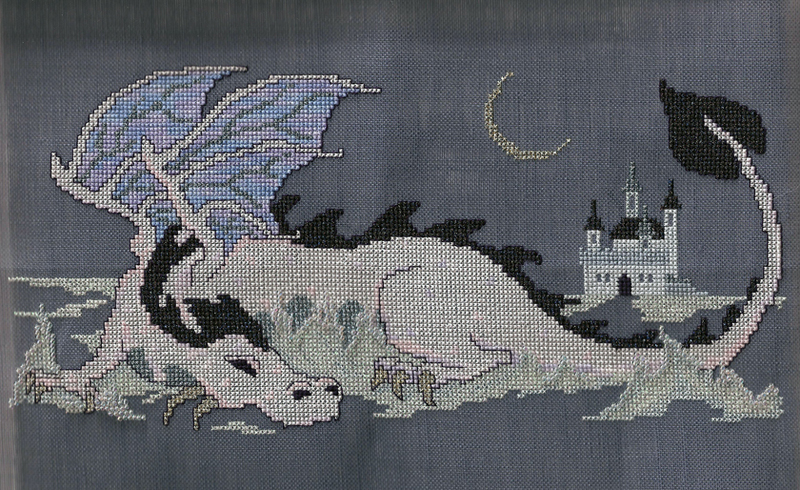 I’ve wanted to stitch her for a long time and am totally pleased with how she turned out. She looks fantastic. I love these charts. 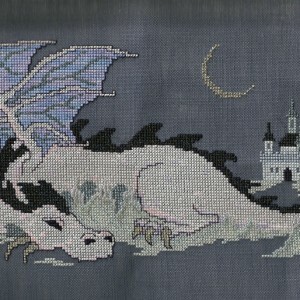 Are you going to stitch the companion piece, Dragon of the Summer Sky?